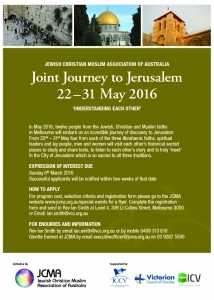 From May 22nd to 31st May 2016, twelve people from the Jewish, Christian, Muslim faiths in Melbourne will embark on an incredible journey of discovery to Jerusalem. The group will consist of twelve people, four from each of the three Abrahamic faiths comprising spiritual leaders and lay people, men and women. 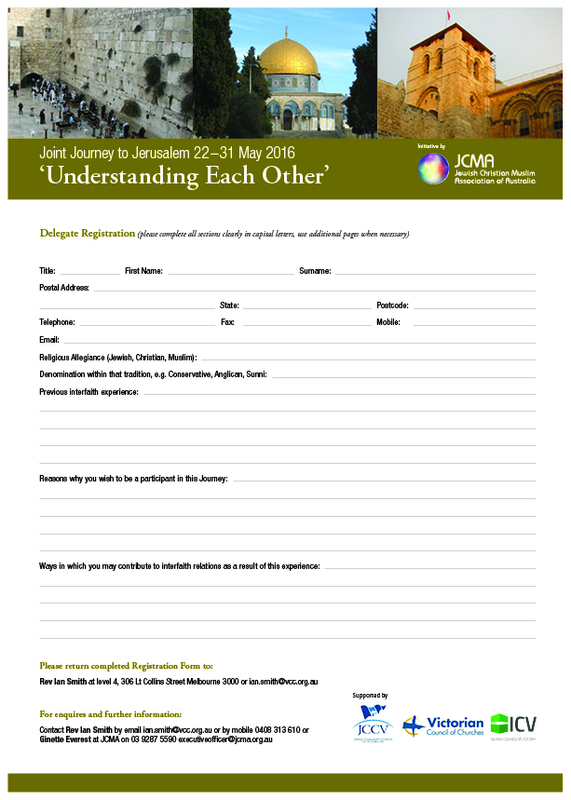 They will visit each other’s historical sacred places to study and share texts, to listen to each other’s story and to truly ‘meet’ in the City of Jerusalem which is so sacred to all three traditions. We have the three faith leaders in place and are now seeking expressions of interest for nine other participants to join the group, 3 from each faith. How to apply: complete a registration form and send to Ian Smith at Level 4, 306 Lt Collins Street, Melbourne 3000 or email ian.smith@vcc.org.au. Expression of interest due: Sunday 6th March 2016. Successful applicants will be notified within two weeks of that date. For more information: To download a flyer with program cost, selection criteria and registration form please click here: download flyer and application form. 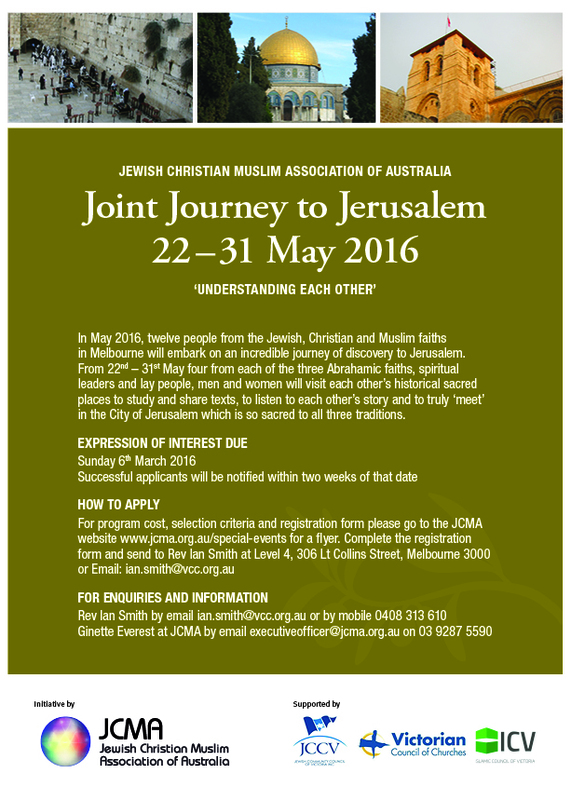 Or you can contact Rev Ian Smith by email ian.smith@vcc.org.au or by mobile 0408 313 610 or Ginette Everest at JCMA by email executiveofficer@jcma.org.au or 03 9287 5590.